Business Valuation on Mallorca - BusinessBrokers Mallorca will help you! Our clients require a business valuation for numerous reasons, including refinancing, unit sales or purchase, or to assess personal net worth. While a professional independent Business valuation is usually necessary for refinancing, a restaurateur’s valuation of his or her own business is usually sufficient for establishing a selling price and assessing his or her personal net worth. Often, the seller just wants to get his transfer fee plus invest back. Sometimes this works, because a possible buyer just agrees to the asked price. But sometimes, this uncomplicated idea does not work, because the asked price is too expensive. Always keep in mind that a buyer is not just buying second hand furniture. On the other hand, he is not buying just an idea of what the business could be one day in the far future. We are selling businesses. Depending on the type of business, the buyer wants a payback of his investment within a certain time. In the gastronomy business on Mallorca, this should be the case within the first three years. That means that the value of a restaurant business on Mallorca corresponds approx. to the three-year profit. The rest is negotiable. The value of a business should be based on it’s fair-market value. Fair-market value is defined as the highest price available in an open market between informed, prudent parties acting at arm’s length and under no compulsion to act, and is expressed in monetary terms. This definition works best when the value is based on several businesses being available for sale so that the buyer has several purchase options. Additionally, it is assumed that the business owner is not being forced to sell for any reason. 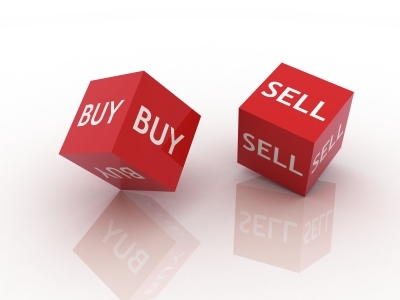 Since the seller is neither compelled to sell nor the buyer to buy, a transaction will take place only if the value of the business is considered fair by both parties. What does this mean in reality? On Mallorca, businesses that depend on tourism such as restaurants, can be extremely lucrative. To valuate the business, we need to know the maintainable cash flow, the profit-and-loss situation, actual operating income and expenses, the capitalization rate of the business and some more details.